News>Other>“Third Battle of Ypres : National Service of Remembrance” Registration Process. “Third Battle of Ypres : National Service of Remembrance” Registration Process. On 26 January Carwyn Jones, First Minister of Wales announced the central focus for this year’s Cymru’n Cofio Wales Remembers 1914 – 1918 commemoration is the centenary of the Third Battle of Ypres (Passchendaele), which will be commemorated during a National Service of Remembrance at the Welsh Memorial in Langemark, Belgium on 31 July 2017. The Third Battle of Ypres is of particular resonance to Wales as it claimed the lives of many Welsh soldiers including the renowned Welsh language poet, Hedd Wyn. Hedd Wyn was killed on 31 July 1917 and is buried at the nearby Commonwealth War Graves Commission Artillery Wood cemetery close to Ypres / Ieper. The service will take place at the Welsh Memorial in Flanders (Ypres) in Langemark. This date is of particular significance because this was the start of the Third Battle of Ypres (Passchendaele) 100 years ago and the 38th (Welsh) Division were heavily involved at Pilckem Ridge, where the Welsh National Memorial now stands. 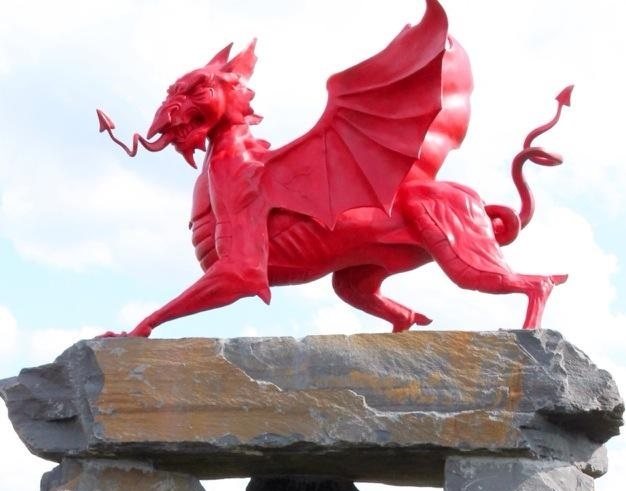 The Welsh memorial, which is dedicated to all those from Wales who took part in the First World War, was unveiled in 2014 after the Welsh Memorial in Flanders Campaign Group raised funds for several years to establish a lasting memorial to the services of Welsh men and women during the First World War. The Welsh Memorial is located at Boezingestraat 158, 8920 Langemark-Poelkapelle, Belgium. People may also register by sending the forms attached below to Cymru’n Cofio Wales Remembers 1914 1918, Cabinet Communications, Welsh Government, Cathays Park, Cardiff, CF10 3NQ. To view or print a Word document of the online Ticket Registration Form please click here. If you would like hard copies of the form posted to you please call 0300 062 2112.